Epidermal peels are a non-invasive treatment to immediately resurface and improve the health of your skin with no downtime. 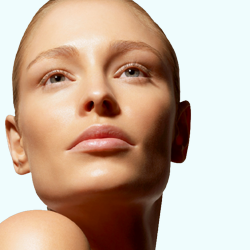 Anyone who wants to combat aging, hyperpigmentation, or acne can benefit from a SkinMedica® peel. A blend of alpha hydroxy and retinoic acids is used to create a unique peel that is gentle yet effective. This peel is available in three strengths customized to address individual needs. We recommend a series of three for maximum results.